#FPW16 | Glamour in Karachi | Find out the details here! Fashion, Glamour, Excitement, Desire, Innovation, Bold, Beautiful are some of the words that can be used to explain what #FPW16 means to people in Pakistan and abroad. Its the idea of being a part of something that is in all its form – amazing. I went there on the first day of the show at PC Karachi. The red carpet, the lights, the familiar faces – everything added up to the beauty of the night. Ayesha Omar and Nadia Hussein could be seen getting pictures taken by fans who idealize these beauties. After the national anthem, it was Deepak Parwani’s #FixIt collection – inspired by the recent political campaign #FixIt added a glamorous side to this campaign. 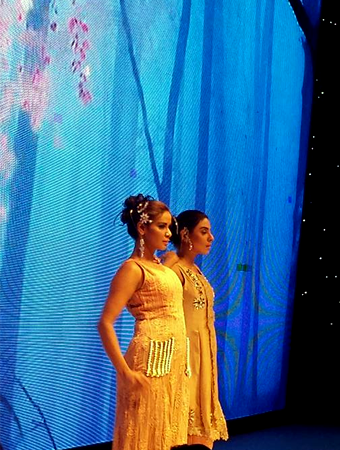 Other designers on the first day included Warda, Lalaz and a lot more. But there was another angle to the night here – the angle where a bunch of young fashion students showcased their dresses at the ramp. This was indeed a brilliant initiative by Bank Alfalah to provide these young and talented individuals a chance to follow their dreams. At the end – It turned out to be a brilliant event. A huge round of applause to the designers who showcased, the organizers who made this happen and the audience that came in to support the Pakistani fashion industry. #FPW16 was indeed a night to remember. Essential Men’s Accessories – These Items are a Must!